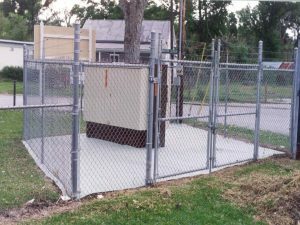 Many of our nation’s largest Utility Companies have been using WeedEnder® Engineered Vegetation Control Products around their infrastructure such as telephone pedestals, utility poles, gas regulator stations, fire hydrants, etc. Anywhere that vegetation control becomes a routine maintenance issue, WeedEnder® has become a widely used means of permanently controlling it. With WeedEnder’s® fire retardant properties, utility structures can remain safer from grass and wildfires and perhaps even prevent fires caused from utility overloads and sparks. Municipalities have seen the benefits of using WeedEnder® around parks, recreation areas, ballfields, etc. WeedEnder® also makes a great soil topper for rooftop gardens and community vegetable gardens because WeedEnder® helps retain the moisture within the soil from evaporating as quickly. Many Municipalities have the same Vegetation Control challenges along their roads as the State DOT’s do. 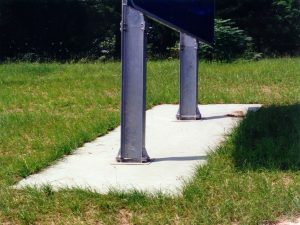 Here a local Municipality is using WeedEnder to control vegetation under some of the information signs along their roadsides. The nation’s largest Telecommunications provider uses WeedEnder to maintain vegetation from their remote service terminals in an effort to reduce the possibility of service outages. 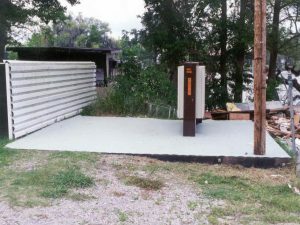 Sites such as this one are chosen to not only eliminate the vegetation from growing around sensitive equipment, but to keep sites neat and clean so that property owners who own land nearby are happy with the appearance.